We have spoilers for the April 2019 Birchbox! This month includes two curated box options! What do you think of the spoilers for the April 2019 Birchbox? Are you going to pick a sample or one of the curated boxes? 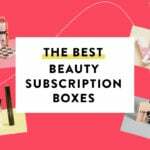 FYI – Beginning March 25th, Birchbox is updating their pricing structure and improving their box experience. If you are a current subscriber, this change in pricing won’t impact you until June 1st, and if you are an ACE, you keep the $10 a month cost as long as you maintain your ACE status. FYI – the last day to secure the current pricing is March 24th – so you can sign up for an annual subscription at $110 to lock in the low pricing for a full year. Does anyone know are these still the teeny tiny one time – smaller then hotel size samplers they used to give ? I am sure that the samples will still be little, but there is supposed to be 6 rather than 5. Will you still be able to buy the curated boxes in the shop? Birchbox went live on their Instagram yesterday to explain sample choice. And, they said in the video that only Curated box option #1 would available in the shop. Option #1 is the one with Kiehl’s, Tarte, R&Co, extra. No, mention on pricing or when the box will be available. But, based on the past few months. I’m guessing April 1st. The other box is much better. I was torn between that and the Luna oil sample. I have 2 subs, and it is a pretty easy call for me this month: Curated Box 1 for 1 account and the Wander Lip Oil on the 2nd account. If I had 2 accounts, that would be my choice too. But I do love the Smashbox mascara. Leaning towards Curated #1, though it’s a very tough call. Birchbox was my first love! I have getting BB for quite a few years now, not sure what I think about this new pricing thing, I assume I am going to have to pay $13 a month since I am a existing subscriber? I don’t have $110 in my budget to spend for a yearly one or anything else for that matter and like paying by the month. BB is pretty good, for the most part for the price and the way you do get choices. Too bad they took away the way they used to give you the points for the reviews, and you could buy items from them, you really wanted, getting $10 or more off, for your reviews. Since they changed that, I hate to say, I have not reviewed or bought anything since. Waiting to see how this goes. I have tried all of the things in the #1 curated box, but I am leaning toward option 1 anyway. I have tried the superfan mascara, the Oribe and PTR from option 2 curated. I use the superfan in my rotation. But that Wander lip oil is very tempting. Love my lip oils. I just know the rest of the stuff could include black eyeliner and highlighter….lol… so I don’t think I will chance it. I am good with my NYX thisiseverything lip oil. Lip oil for me because I am all about the lips! I’m so tempted to resubscribe with the 3 month deal. What would make me do it is if I could pick my sample for April. But I know the last time I subscribed they picked my first one. Does anyone know what the cutoff is? You will start with March so you will get to pick an April choice! I thought you can only get the deal if you’re a new subscriber? You can get it for resubscribing? Do anyone know if the price change will make all boxes = 6 samples or is just for curated box? I assumed 6 since I thought that’s what they said their boxes would now include, however I noticed that in the email I received they listed three options: 1) pick a curated box, 2) pick a sample, the rest will be a surprise, and 3) leave it all a mystery. In option 3, my email stated they’d include 6 samples, however for option 2 they didn’t state how many surprise samples would be included. When I looked in my account under the sample pick selections it states that only 4 samples will be added in addition to the sample pick, making it only 5 items. My gut’s saying that those who choose a sample will get 6 samples, and I’m thinking they just haven’t updated the wording on their website. I’m still going with a sample pick, so it’ll be interesting to see how many samples truly will be in the box. I love reading your comments and you’re always so delightful/optimistic about everything. Thanks Xtina! 😀 Girl, yes!!! I’ll take all of the beauty buddies I can get! They stated that they would be giving us 6 samples for the “next few boxes”. That’s what I remember reading, but since on my account it said I’d only get four samples in addition to my sample pick, I paused for a sec. But despite that, I think they just need to update the text, and we truly will get 6 samples. yay! I’ve had my Birchbox sub for years, can I sign up for a 3 month sub and get the sleep spray in addition to my regular sub? I believe you need to have two separate accounts to have two subs. Oh no! I ordered before I saw your response. I wanted to gift it to my daughter. Now I’m worried it won’t go through. I’m not sure why it let me use my regular account with the same email for a new sub. Maybe they don’t mind people having more than one sub under the same email? Here’s hoping I actually get the free sleep spray and candle for my daughter. Their customer service is great so if there is a problem I know they will fix it. I can’t believe I’ve had my original subscription since 2014! Thanks for all the help! So we can use the same address and all, so long as it’s under a different name? I have several Birchbox accounts all under my name an address just using different email addresses. I should specify I have multiple subscriptions that I get in the mail. I’ve even spoke with customer service about this and they don’t care. Oh wow. I resubscribed this morning and there’s already a preview for my first box. Lol they’re gripping on those new (re)subs tightly. Are they sending you March? What day does it change, anyone know? Thanks! I stopped subscribing to Birchbox years ago after being an original member but these freebies and these samples might just pull me back in! Yes my first box is march. I think the pick for april opens up on the 27th for non aces. I also think I’ll be billed again on april 1 for the april box, which I’m ok with. I hope someone with experience with birchbox can verify this. Thanks! I’ll be picking the Wander lip oil. My instinct is to pick the SR Luna Oil, but I already have so many samples of that I need to use, and I love trying new lip treatments. Ughhh, I am so torn between Sunday Riley Luna Oil, and Kiehl’s concentrate from the curated box! The Luna oil is really nice, and of course, like everything Sunday Riley, pricey! Love what it does to my skin! I use it and I have also used Kiels which is also very nice, I would go for the luna oil, since I rarely see samples of it this size. Just my two cents anyway. Box #1 looks great to me! I signed up last night for the sleep spray and candle gift. When do I get to choose for April? I would like the curated March box but I don’t think I can choose for the first month right? I signed up on Tuesday and the email they sent me this morning gave me the April customization options (similar to what is posted on here). I think you should be able to choose yours if you get the email too. Box 2 would be my choice – the only repeat for me would be the Oribe. Not a bad box at all. Do you know if we are still going to be able to purchase the curated box in addition to our regular box…like how we were always able to? I sure hope so! My gut says we will, but I guess we’ll see. 🙂 I don’t plan on purchasing any of April’s curated boxes, but I do appreciate the opportunity to be able to do so if I find one I really want to get.